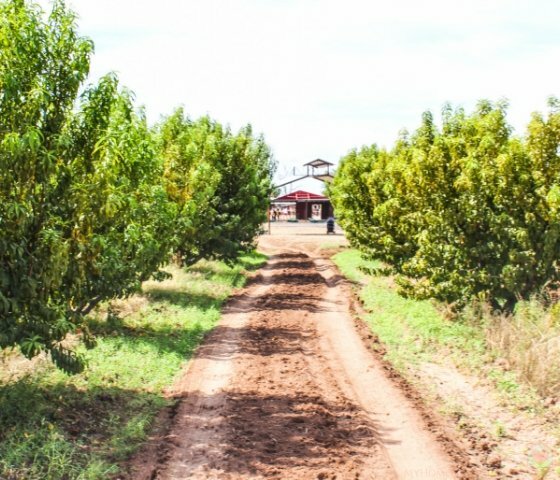 Who doesn’t love visiting a good farm? I know my whole family does! 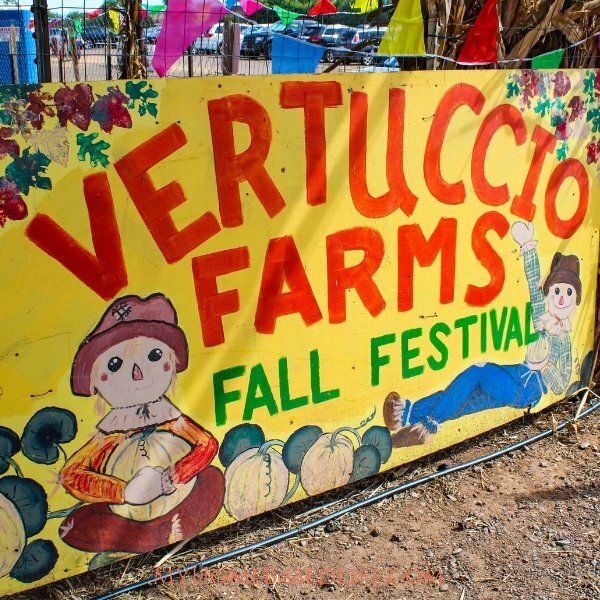 This year we went to visit the Vertuccio Farms Fall Festival and we had a great time. 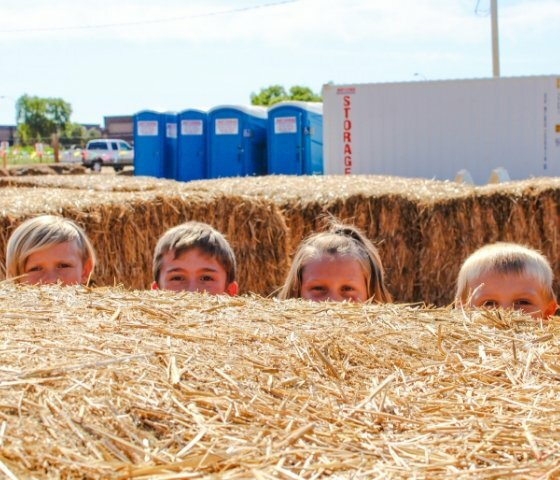 We were so pleased to find a Fall Festival locally and we didn’t hold back on the fun! Because I don’t want you to miss out on this awesome festival next year, I want to tell you all about it now. So put it on your calendar to visit next fall. Because we have four children, I always have to look for the best deal. 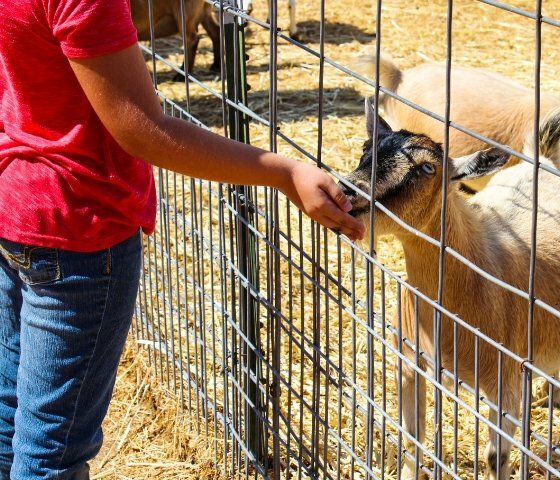 Our visit to Vertuccio Farms Fall Festival meant that we all had a great time and had endless amounts of fun. 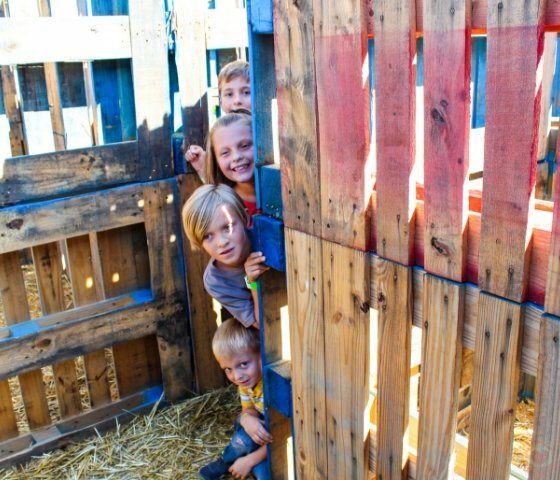 When you pay the admission price to this fall festival, you get the whole shebang! 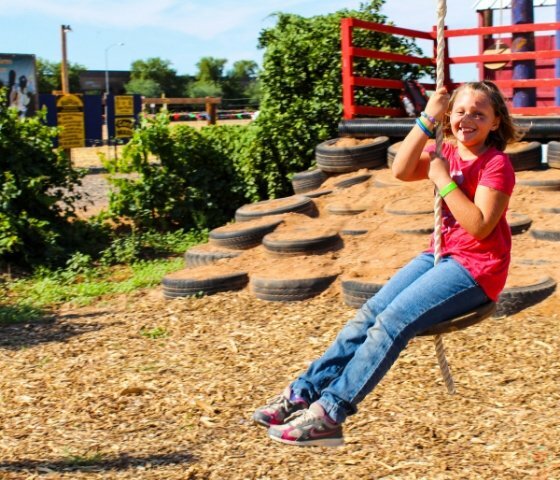 Check out the activities we were able to do with the price of admission. 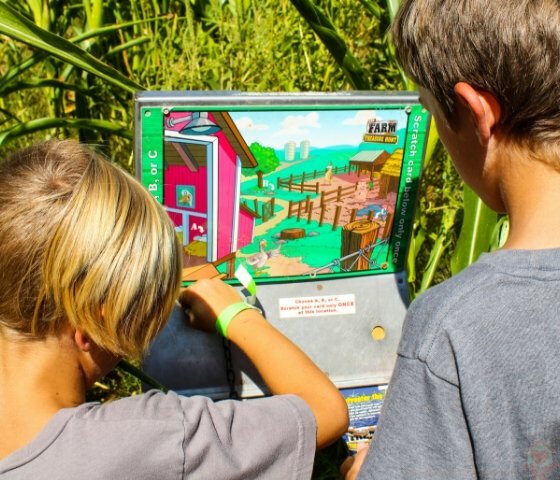 I tell you more about this below, but we had such a fun time doing the corn maze. Yes, we are a mini golf loving family, so we were hoping to check this out while we were here. There seemed to be a lot of Mini Golf Lovers however because it was rarely open long enough to get to play. I loved the mule wagon ride because it was a little different than the traditional hayride. They take you to the edge of the farm and back, was very peaceful. 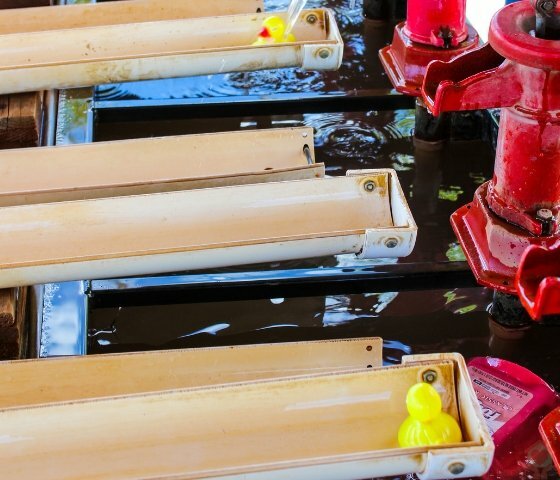 They have the old water pumps set up in troughs with rubber duckies for these duck races. I literally had to teach my children how to use the water pump, Ha! This was hilarious to watch my kids do, they love taking chances on fun stuff. I can say that had a ball with this giant tube roll. The hubby and I even participated in a race to the other side. These are not as easy as they look, or maybe we were too tall for them? Either way, there were many laughs. I loved watching my kids go down they mini zip line. 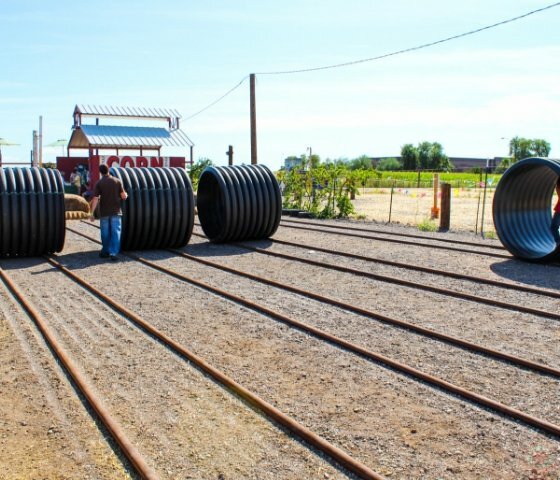 I think all fall festivals should have something like this. It’s a good thing the rides are unlimited as my kids did this zip line about 6 times each. There is a turtle, goats, a donkey, and chickens you can view and pet. They donkey loved the attention but this goat was just too cute! 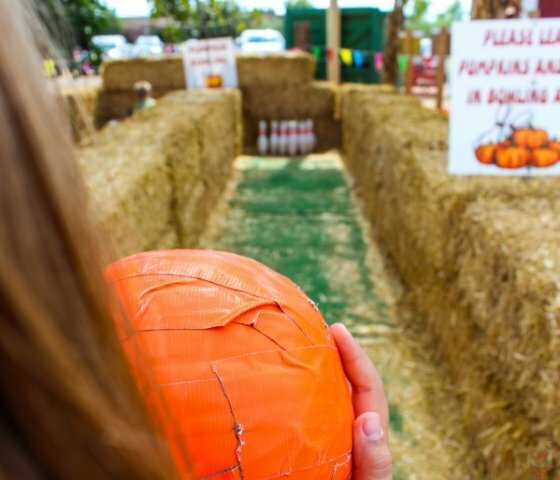 I think this takes more time to set up than to play unless you have someone at the other end to set up after you have rolled the ‘pumpkin’. It was fun and the kids really enjoyed it. 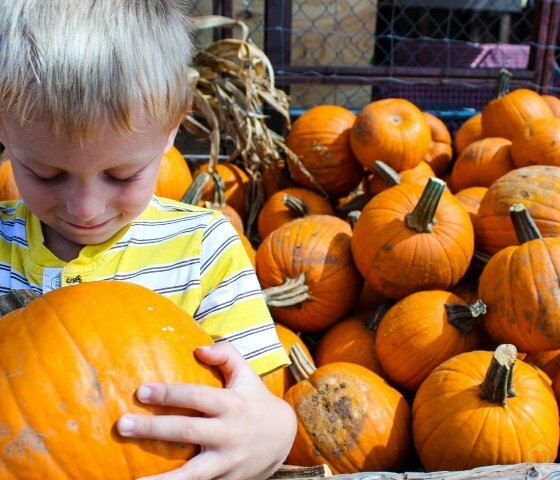 Check out these additional activities you can do at Vertuccio Farms Fall Festival. 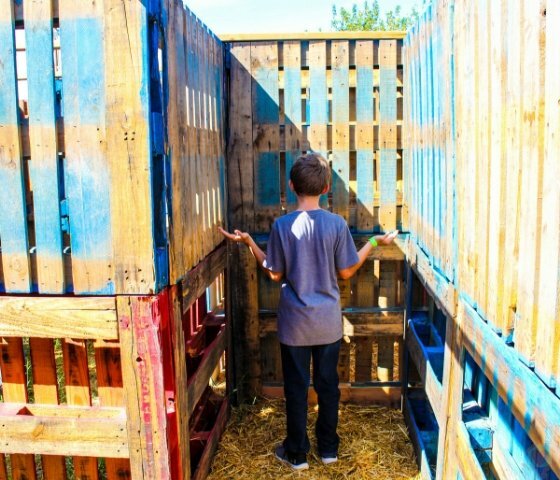 This year, we were able to go through the Wood Pallet Maze. With this amazing maze, we had such a fun time. I was never a huge fan of mazes, but my kids enjoyed this one so much, it had a way of pulling me in. There are 3 pictures at the entrance you are supposed to find all while trying to find your way out. I found 2 out of the 3 then just focused on getting out. This was a new feature this year and I’d say it did not disappoint. The kids had fun with it. We FINALLY made it out of the Corn Maze! 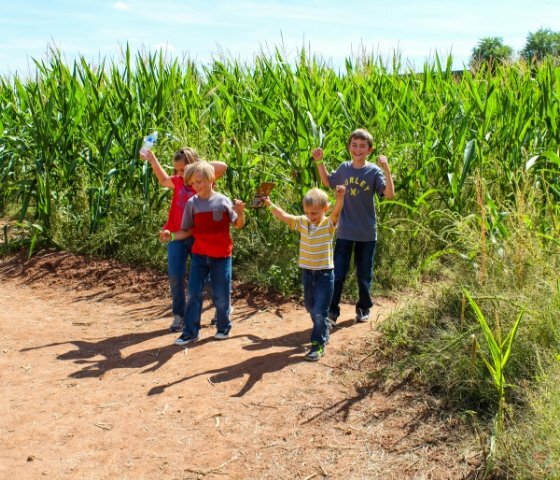 After you get done with the pallet maze, you can hop over and visit the infamous 7-acre corn maze! I mean, what’s to hate about spending the day with family and getting lost the corn maze not once but twice! We attempted the maze the first time and got totally lost, so lost it took us over an hour to get out. We opted to have a snack and rest before we went back in. Upon reentry, we took a photo of the maze so we could maneuver easier. Even with the photo so we had an idea where we were going, it took us almost 2 hours. A lot of times we take our kids places and we aren’t sure if they’re going to love it or not, but they did Vertuccio Farms Fall Festival. 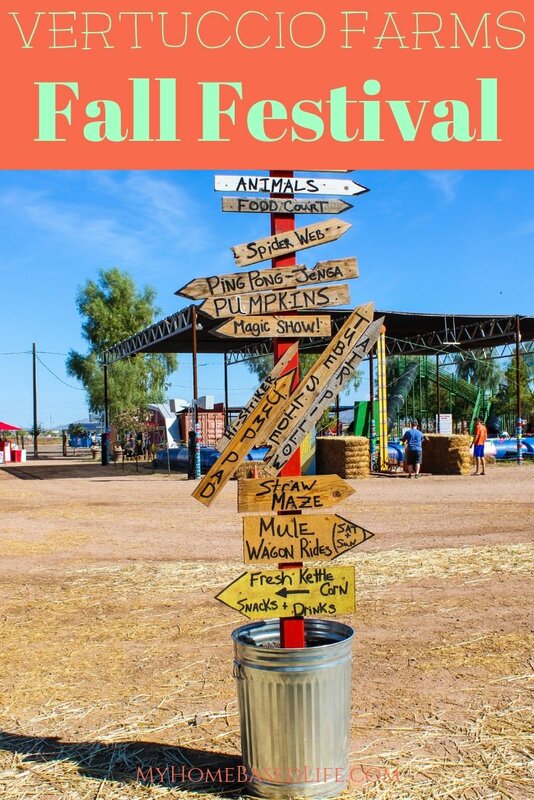 Have you ever been to Vertuccio Farms Fall Festival? Be sure to attend next year! Pogo Pass: What is it?